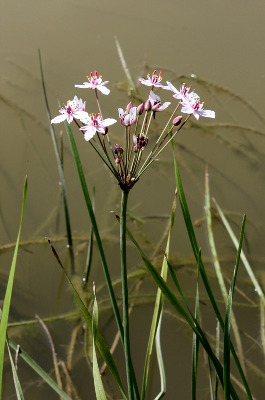 Locally established in wet ground, common only in the marshes and river borders near Lake Erie and Lake St. Clair. First collected in 1930 in Wayne Co.
MICHIGAN FLORA ONLINE. A. A. Reznicek, E. G. Voss, & B. S. Walters. February 2011. University of Michigan. Web. April 21, 2019. https://michiganflora.net/species.aspx?id=686.